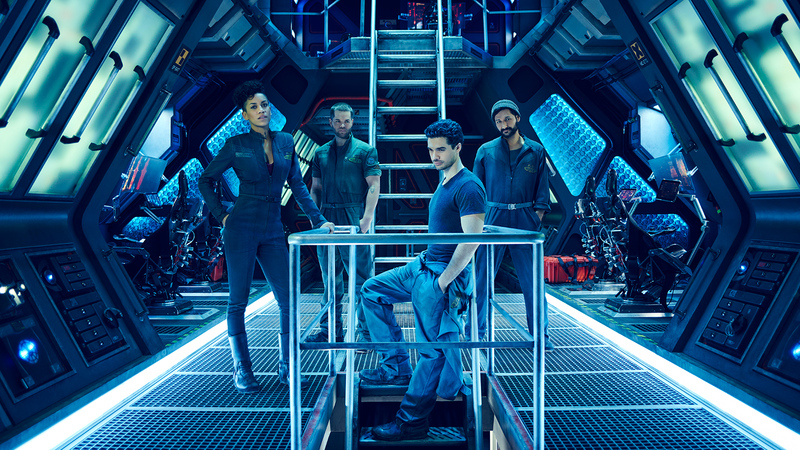 Syfy’s new series The Expanse premiered this week, and the network has released a Q&A video with the cast. The Expanse is based on the book series by James S.A. Corey and stars Thomas Jane as a detective tasked to track down a missing woman in a solar system set 200 years in the future. In the series, humans have colonized both Mars and the surrounding Asteroid belt. Dominique Tipper, who plays ship engineer Naomi Nagata, says what drew her to the series is how it handles female characters. What do you think? Did you see the premiere of The Expanse? Will you keep watching? The first few shows were confusing. I am caught on the show now. I think it is confusing as to where the entire show is going and how all the various characters are related. I am still excited to watch each episode to see what happens. There was nothing special in the first episode. Just a mashup of stories from other shows. The editing: jumping from one storyline to another was bad. The music as louder than the conversation -Why? No need to watch another episode. Expanse was a great show last night I loved it I can’t wait to see the show for tonight at the plot is excellent the writing is great I just hope its just not a tonight miniseries it needs to be a full series.